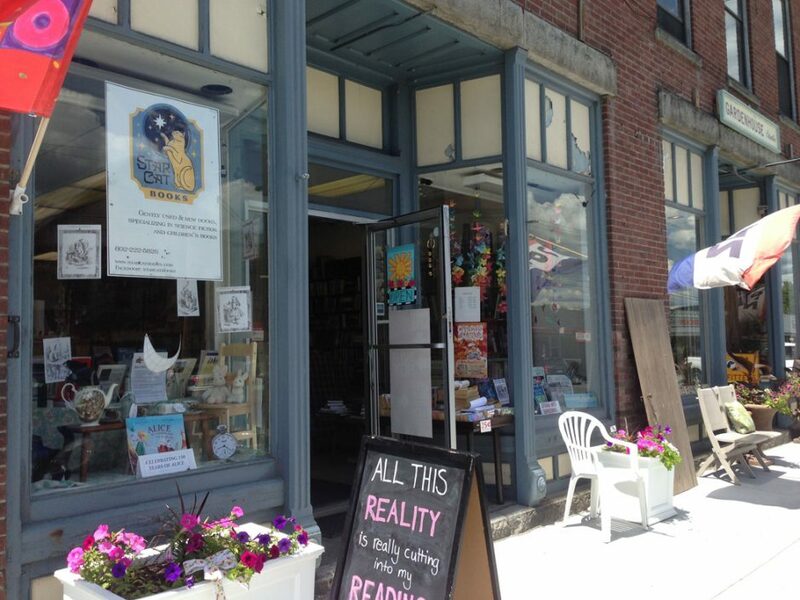 Star Cat Books of Bradford, VT, is holding our annual Customer Appreciation Days this Friday & Saturday, May 29 & 30th (10am-7pm, both days). We will have refreshments & Jim Macdonald is returning to us to do MAGIC throughout the day, both days! Be sure not to miss him! On a personal note, I apologize I’d been out this week and part of last; I came down with a bad enough case of bronchitis that I was hospitalized, but am doing much better, though I sound a bit like Tallulah Bankhead (now that dates me!). My husband, Andrew, and assistant, Ben, have been doing a bang-up job keeping the store running, and I deeply appreciate both their work and you, our customers, for not only understanding that the store had odd hours this last week, but continuing to come in despite it all! Thank you, again. We couldn’t keep doing this without you all! See you this Friday and Saturday — it’s going to be a great sale and a great time with Magic and Cookies and … oh my!